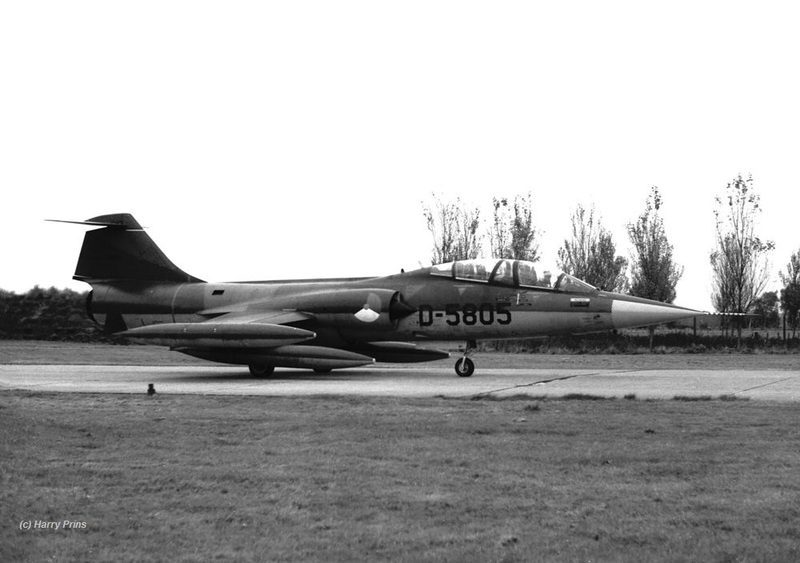 Unknown airbase, landing in the early 70s, still light grey and with TDM badges. 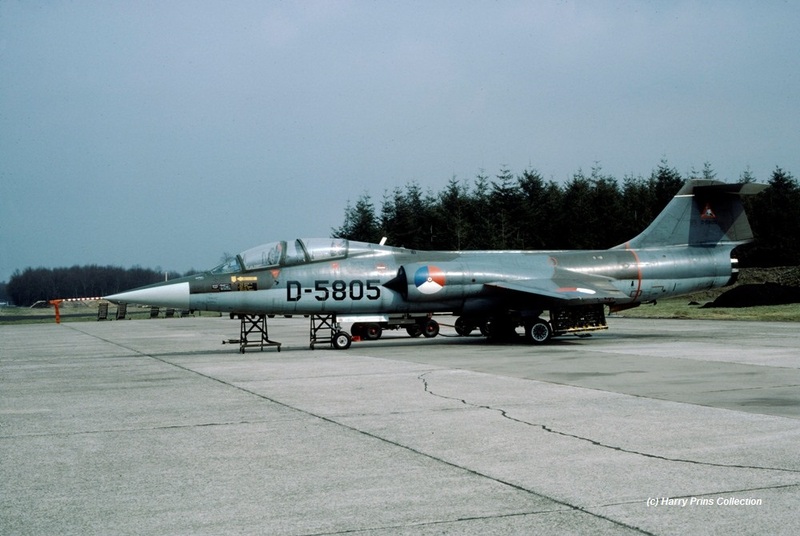 Twenthe Air Base, TF-104G D-5805 is taxying to the runway. 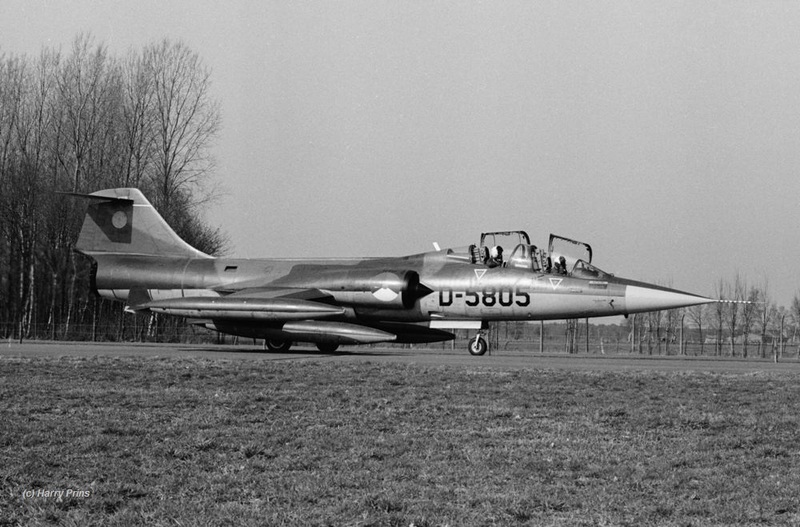 TF-104G D-5805 landing at homebase Volkel in the 70s. 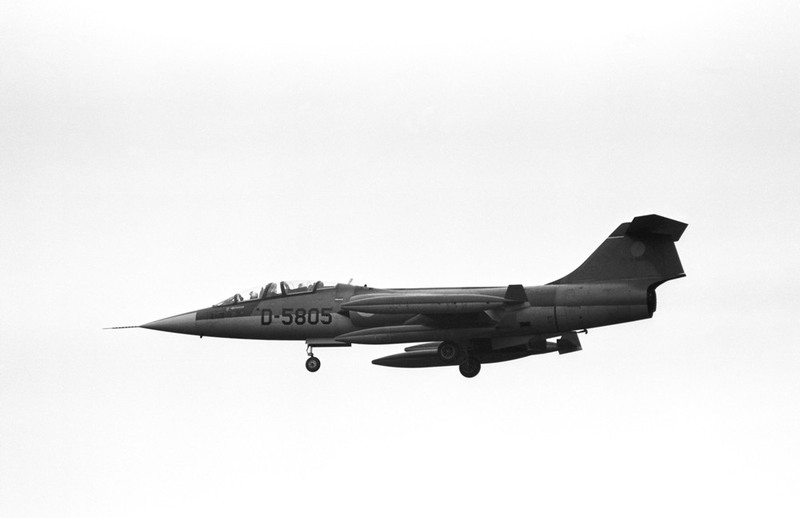 It carries training bombs beneath 1 wing while there is a fueltank mounted on the other. 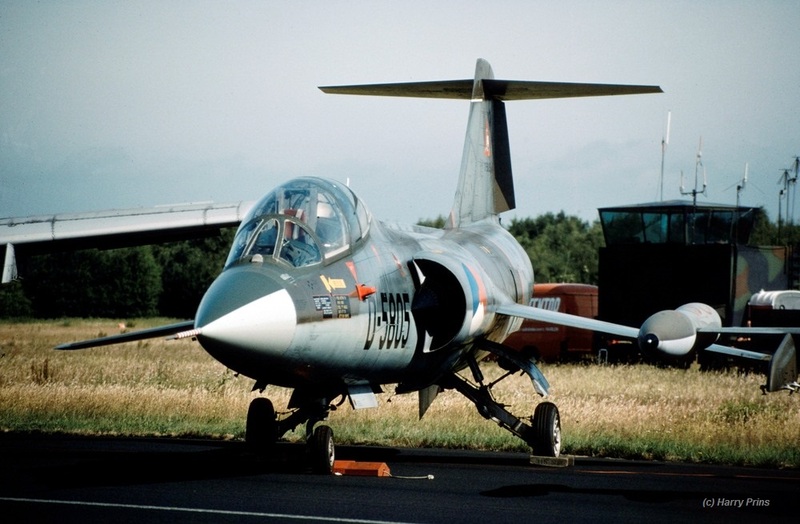 This strange asymmetirc configuration was flown more often in the 70s. 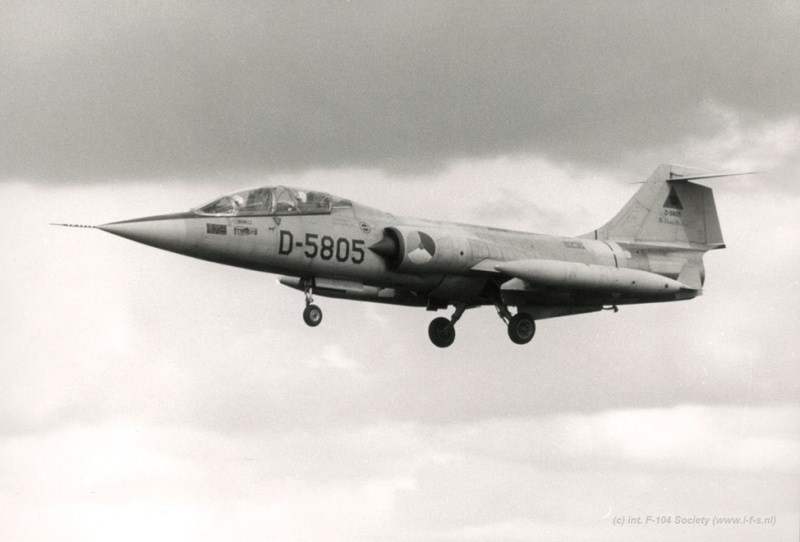 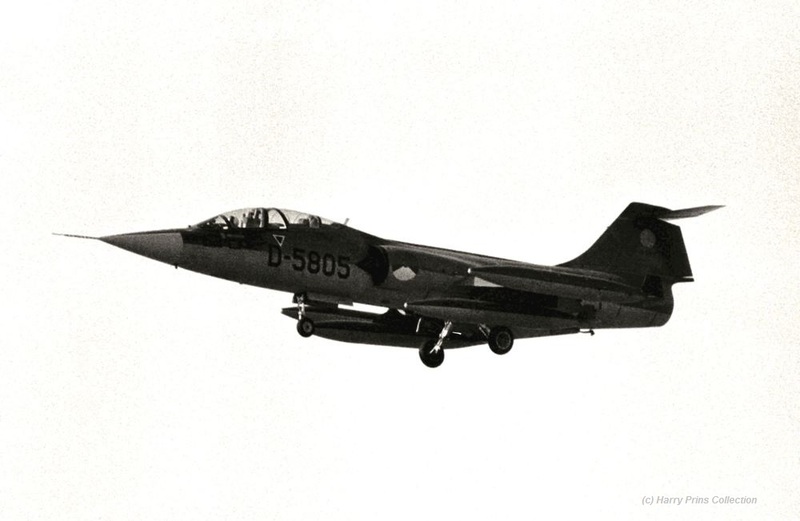 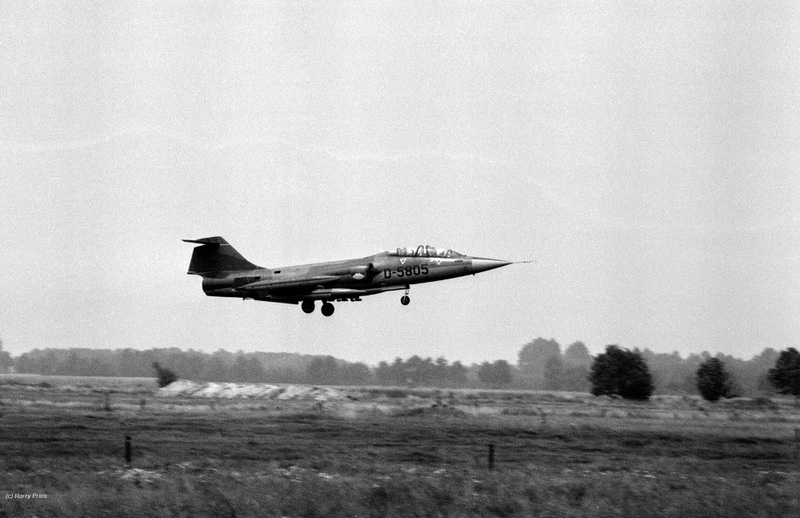 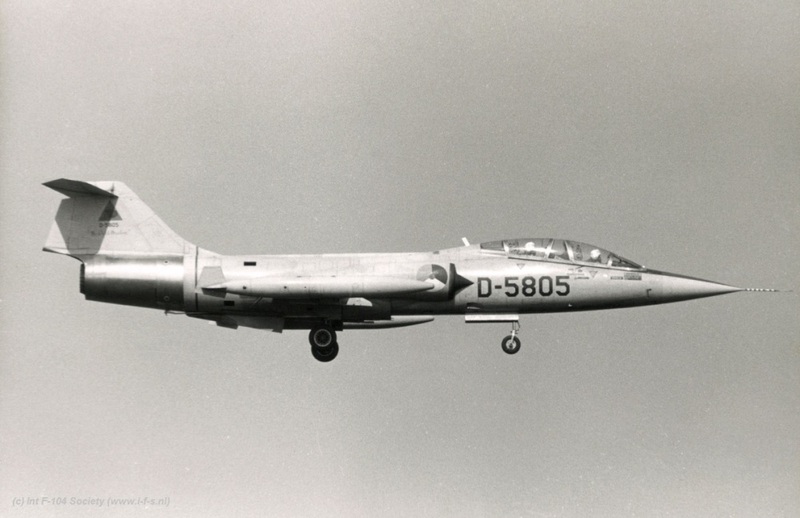 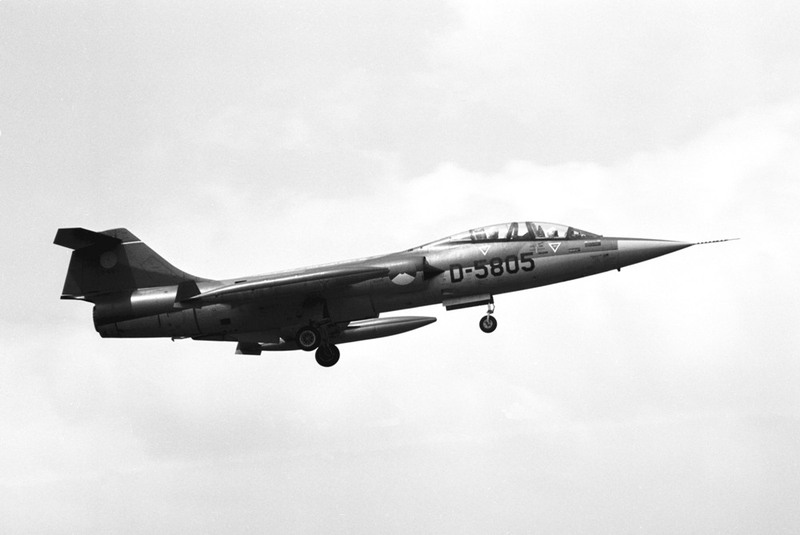 D-5805 landing at Leeuwarden Air Base early 70s to pick up a pilot. 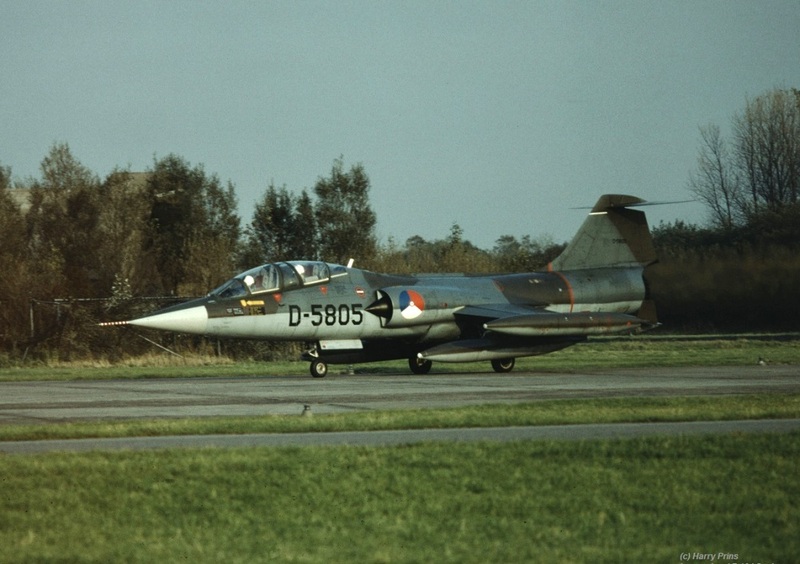 D-5805 taxying to the runway at Volkel during 1 of the many held spotter days like here on 22 October 1980..
TF-104G D-5805 taxying to the runway at Volkel on 4 July 1980. 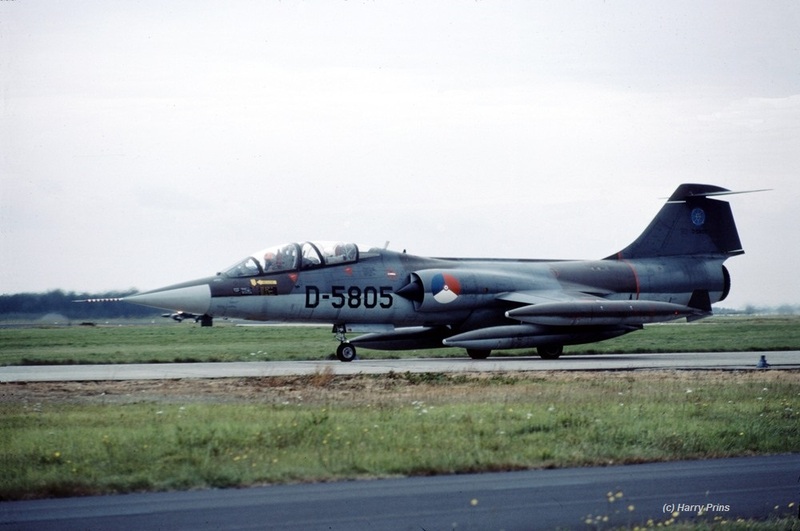 TF-104G D-5805 at the static show of the Dutch Air Force open day at Deelen AB on 1 July 1988. 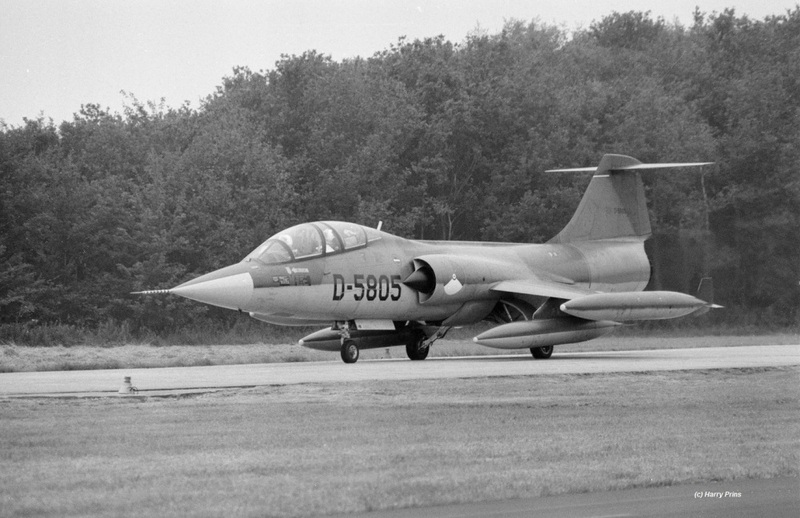 TF-104G D-5805 at the static show of the Dutch Air Force open day at Deelen AB on 1 July 1988. 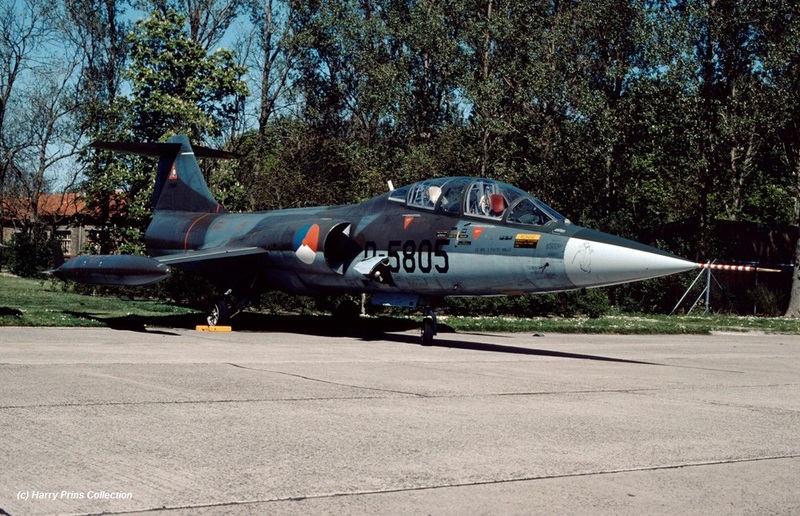 Afternoon sun. 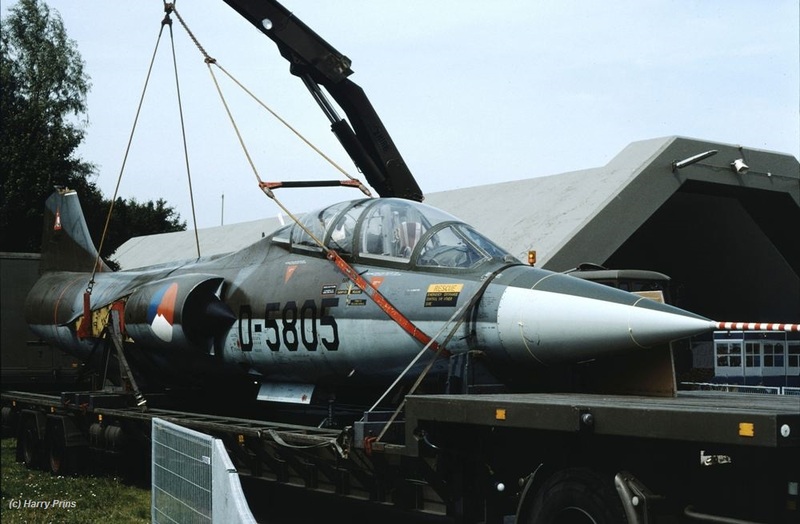 TF-104G D-5805 on truck during open house at Leeuwarden Air Base 2 July 1994. 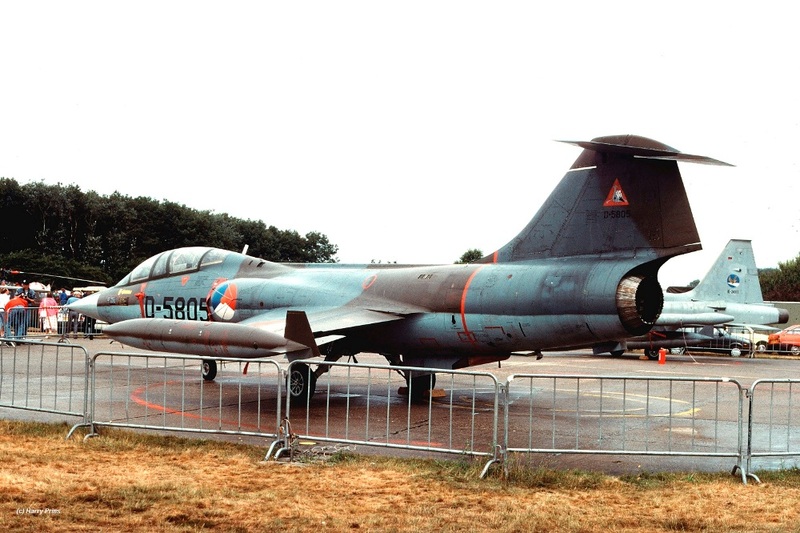 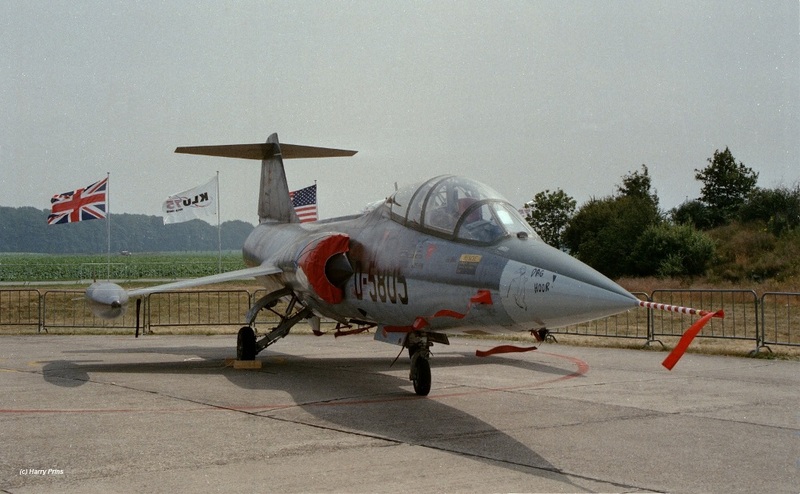 F-104G D-5805 on the static show during open house at Twenthe Air Base 5 July 1996. 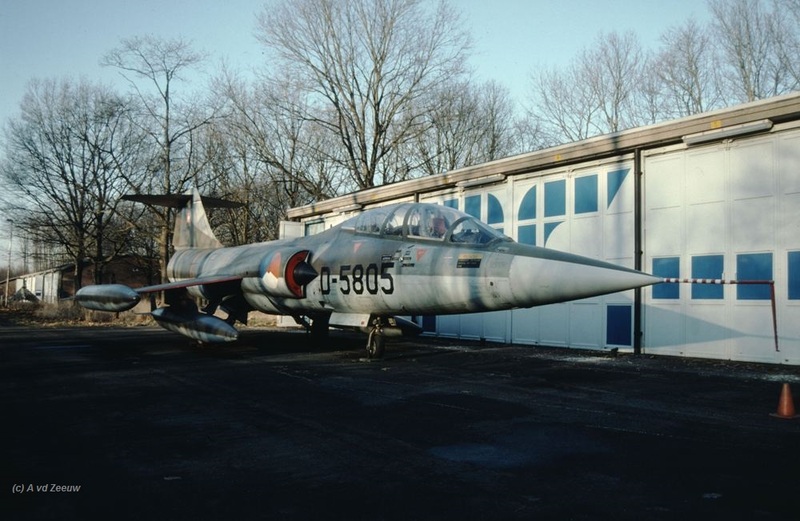 TF-104G D-5805 preserved in the war museum at Best in January 2003. 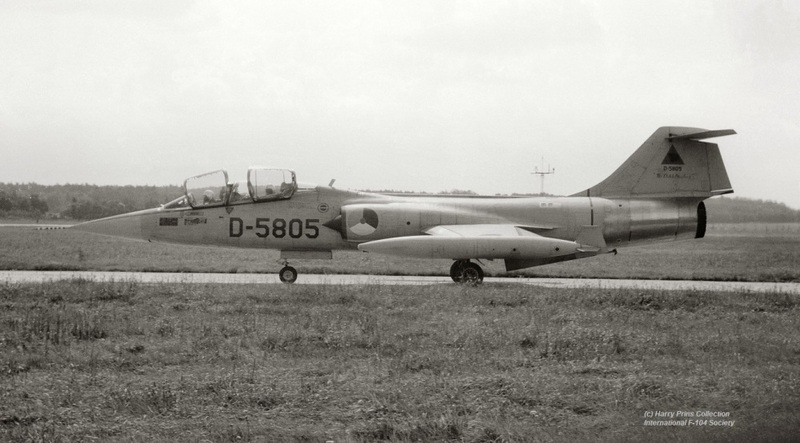 TF-104G D-5805 as it can be found nowadays in Canada. 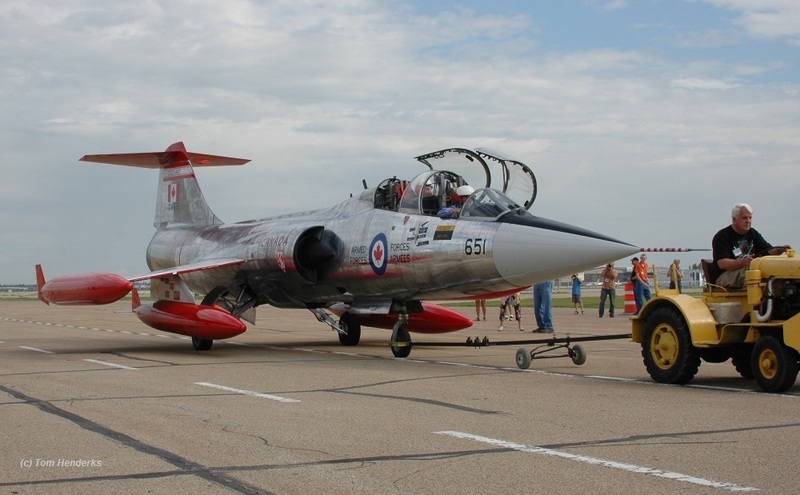 It was transferred to Canada to become a preserved CF-104D 104651 at Edmonton where it arrived in 2013.